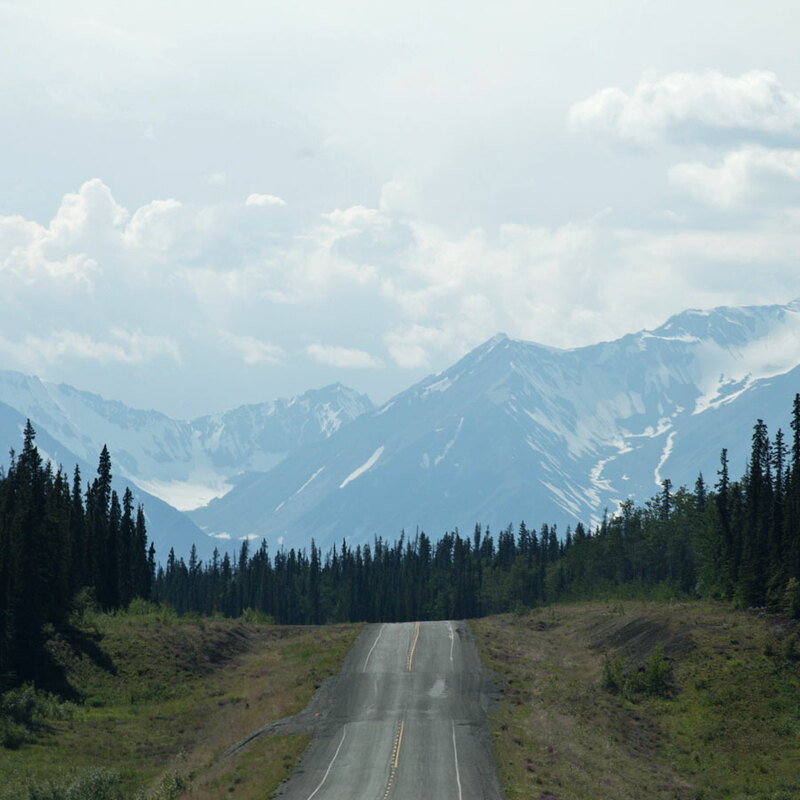 In June, we took eight days to drive from Washington to Alaska. We didn't take any ferries — just highways. We had prepared for the journey to some extent, but we learned a lot more along the way. We've compiled a list of 15 helpful tips for any RVer considering this trip in their future. In Canada, the roads are generally great. But the farther away from the populous areas you go, the more potholes, gravel pits, frost heaves and dust storms you're going to encounter. 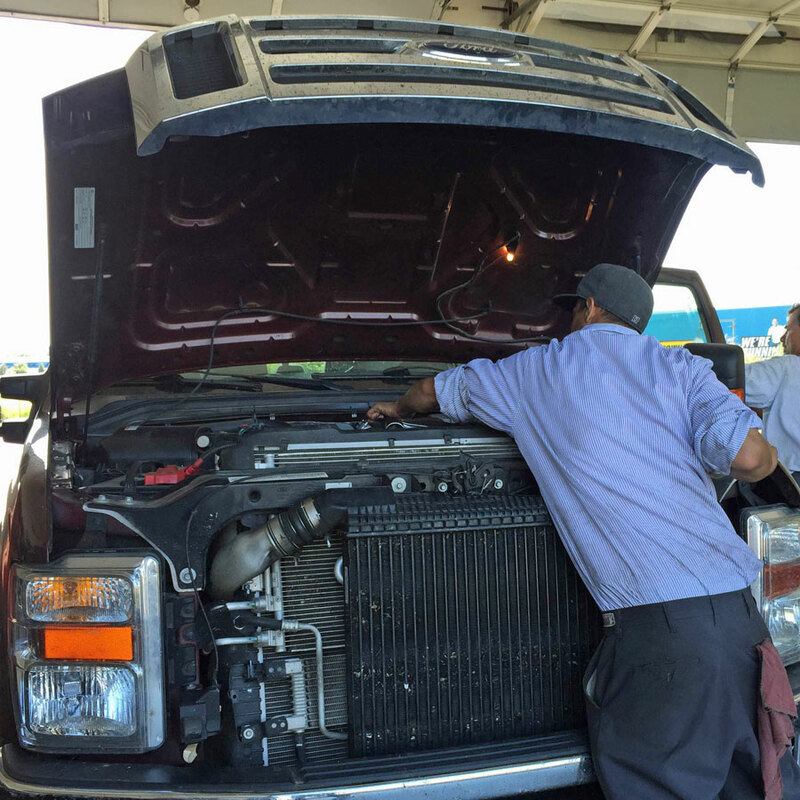 Make sure to get an oil change if you need it, and air up all your tires. 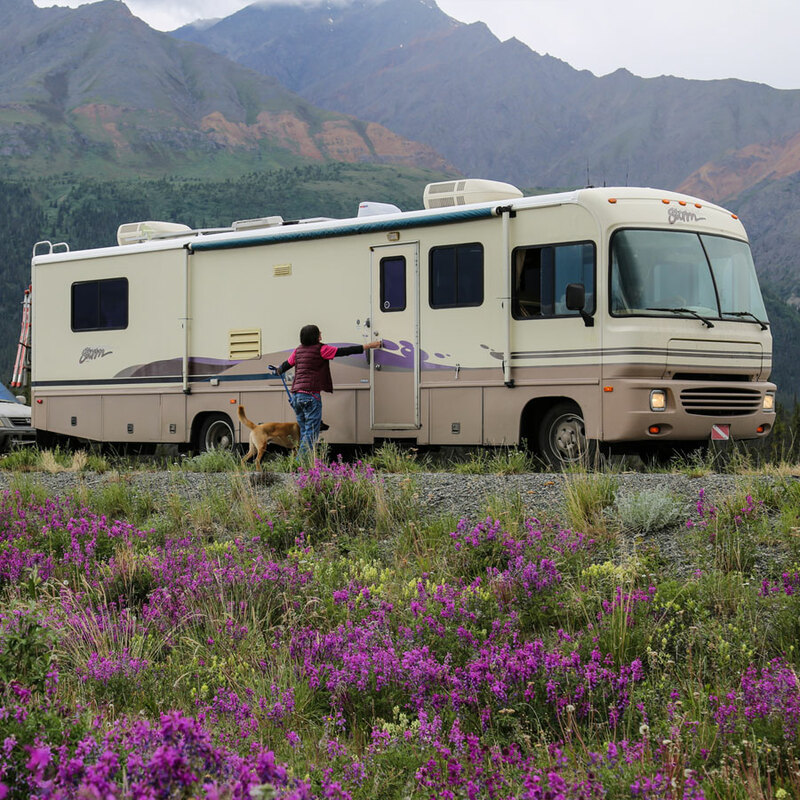 You should also know your boondocking limits (number of days you can go without filling and dumping), and if you're not self-contained, power-wise, this might be the time to change that. In fact, we installed a solar system before this trip just for this reason. Know how tall your RV is in meters. The bridges and tunnels are generally marked, and we never had an issue, but we can't vouch for other routes. Do you want to be online during your drive, or are you okay with disconnecting for a week or more? Don't expect connectivity 100% of the time, even if you get a Canadian cell and/or data plan. You will be traveling through some very remote areas, no matter what route you choose, and you may go hours or days without being able to go online. If you decide to use free wifi in towns, expect it to be slow and unreliable. Since we work, we felt it wisest to tell our clients we were going to be completely unavailable during our travels. 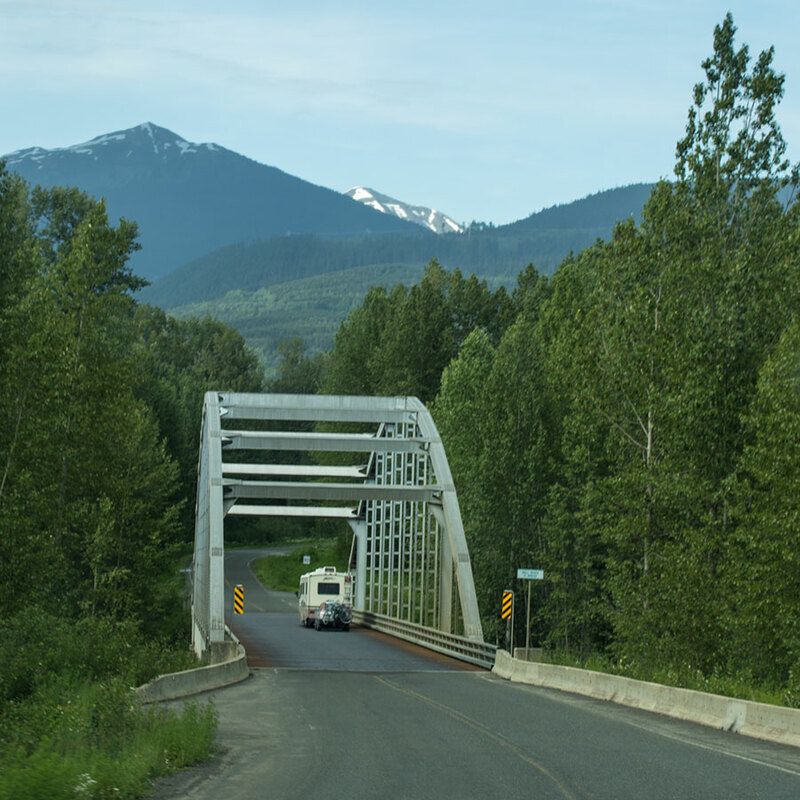 Obtain a current copy of The Milepost, an indespensible book that provides information, mile by mile, along highways in Washington, Montana, British Columbia, Alberta, Yukon and Alaska. You may want to download a digital copy as well. While you're at it, grab pens and bookmarks, because if you're like me, you'll be scribbling all over your hard copy. One thing we should have done is come prepared with a GPS that doesn't depend on a data plan and paper/digital offline maps. If you know someone else who is planning on journeying to Alaska, consider inviting them to caravan with you. There is definitely safety in numbers. We really valued having Taylor and Beth of The Learning Banks as our traveling companions. It made us feel more secure in case something went wrong, and it was way more fun to travel with friends. 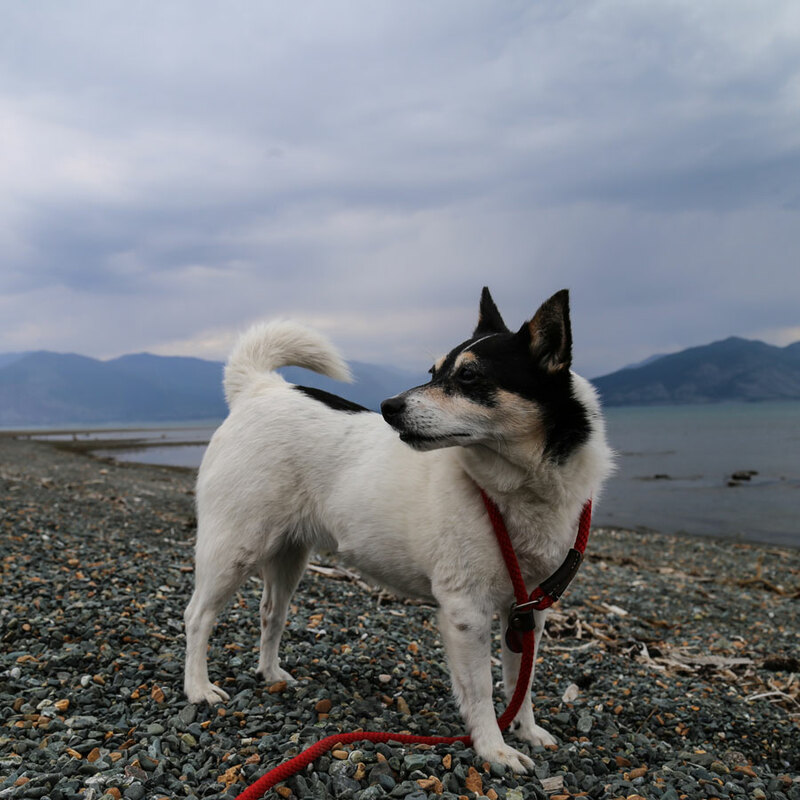 If you do travel with a caravan, make sure you have two-way radios. These will prove indespensible. Does your RV insurance cover international accidents or claims? 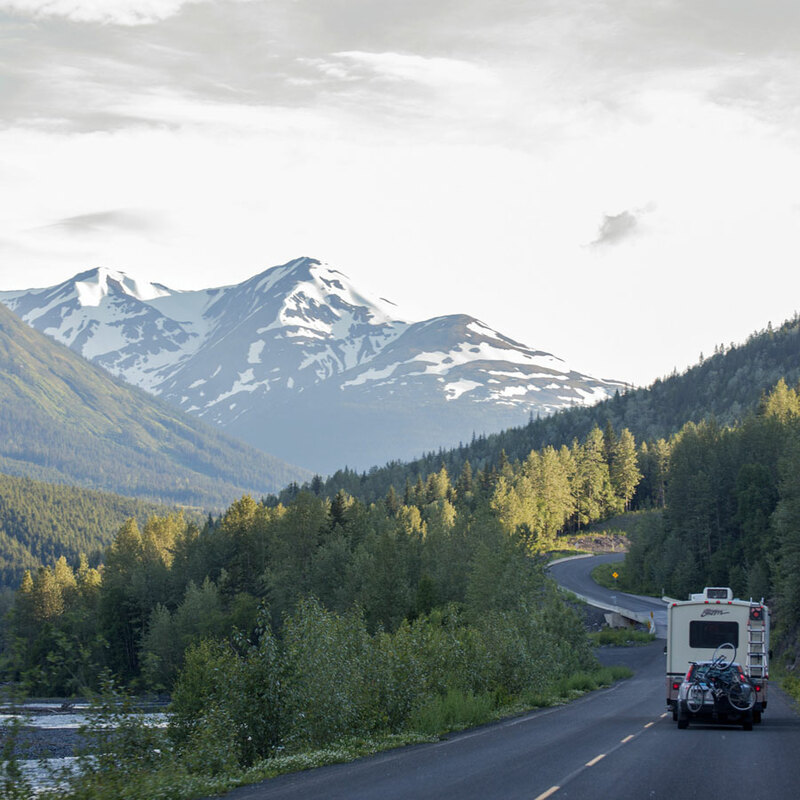 For motorhomes, do you have additional windshield coverage? Can you get roadside assistance in Canada? And what about your health insurance? Make sure you check into these items before crossing border and finding yourself in a tough situation. 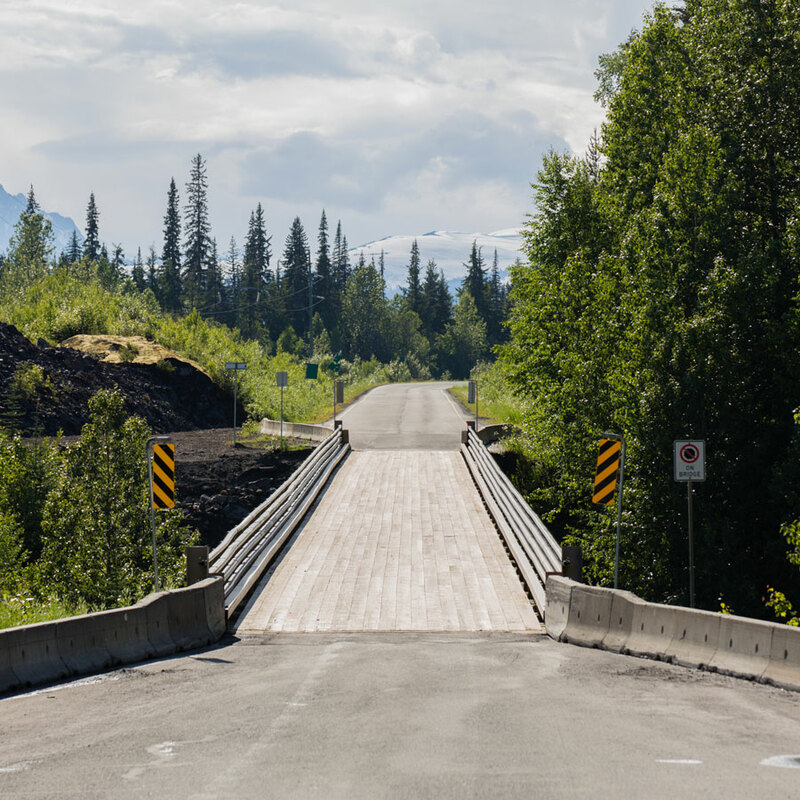 First of all, be sure to check with both the Canadian and Alaskan customs' websites for the latest information. Here are the highlights of what we experienced in June, 2015. Caveat: Border agents in Alaska and British Columbia checked our passports and vehicle registration, asked us about firearms and alcohol, and that was it. Be prepared for more of a grilling, but know that a lot of folks sail through without a problem. Consider entering Canada at one of the lesser-used customs offices to save time waiting in line. When it comes to entering Alaska, you don't have as many choices, but you'll also find the traffic has significantly thinned out. Make a plan of where you're staying and what highways you're taking before you take off (because you won't always have Google to guide you on the journey), but don't be afraid to change it up. 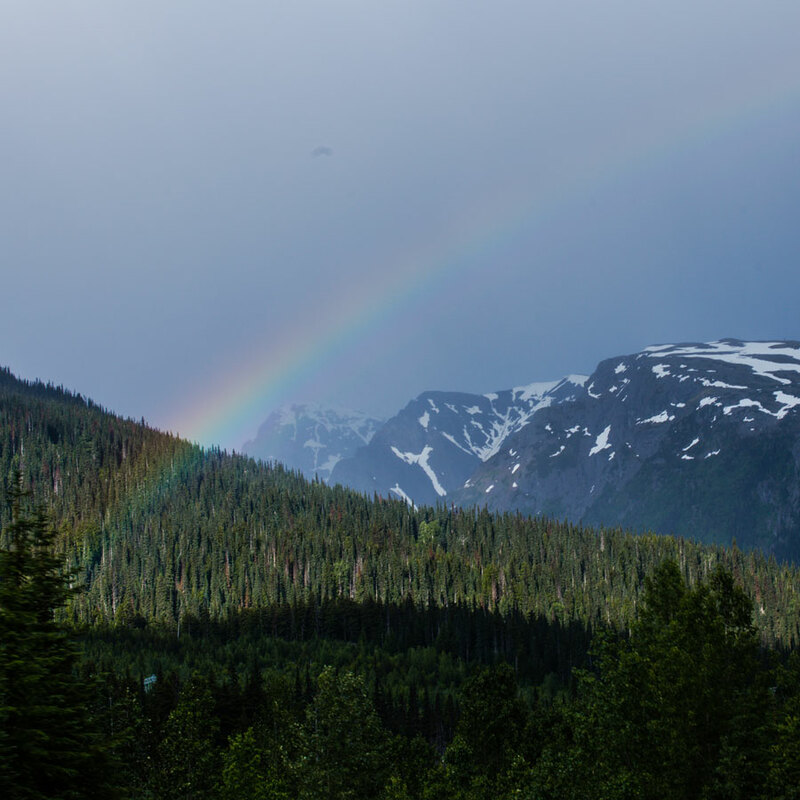 You will see beautiful, amazing things, and you'll want to stop and take a look. You'll get exhausted and need to stop before you expected. You'll get a second wind, and you'll make better progress than you thought. There are stretches of highway that last over 100 kilometers without fuel. Especially if you run on diesel, which is harder to find, make sure you plan your stops accordingly. Bring Canadian cash in case there is an issue with your credit card or the gas stations don't accept cards at all. If you're looking for internet connectivity, plan your evenings and/or rest breaks around places where this is available. Towns' visitor centers generally have free wifi (and sometimes even free dump stations and fresh water), as will some restaurants (Starbucks, McDonald's) and stores (Safeway, Walmart). When it's not your turn to drive, you'll still be plenty busy between navigating unfamiliar roads, keeping an eye out for potholes and wildlife, and communicating with your caravan over the radio. Don't expect to get much shut-eye. Canada is huge. There is a ton of empty land, full of trees and lakes. But for some mysterious reason, towns' parking lots and streets tend to be European-sized. In addition, some drivers seem unfamiliar with the best ways to drive around big rigs (not leaving ample space to make turns or change lanes). Just as you always do in the US, take it easy in Canadian towns and drive extra carefully when you're in populated areas. 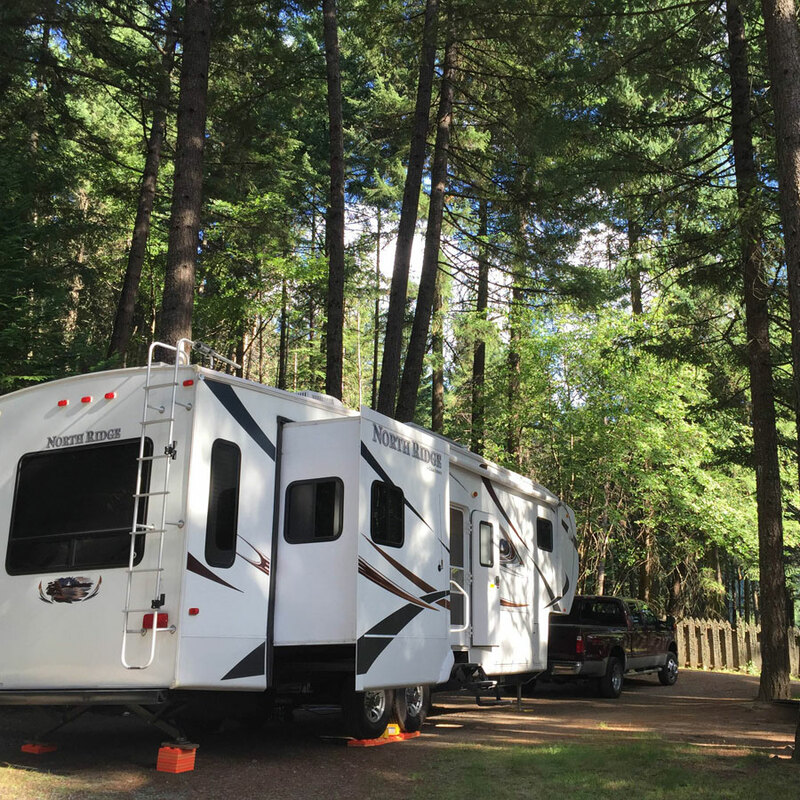 There are a fair number of RV parks (private and public) in Canada and Alaska. It can be a good idea to call ahead and reserve a spot; you should expect a fee for all of these places, even if they're public ones. We found 50 amp power to be a bit of a rarity in Canada, but the weather is often cool enough that it isn't needed. 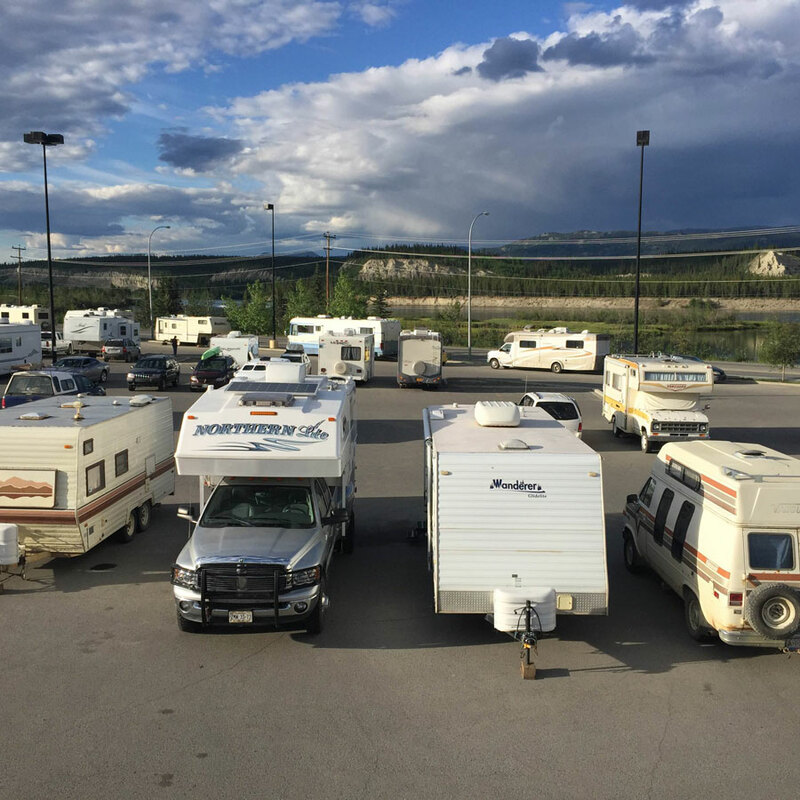 Parking lots of casinos, grocery stores and big box stores will often offer free dry camping to RVers. The standard policy is to ask the manager for permission and repay the kindness with your business (not obligatory). Don't expect any hookups on the premises, but you can often find dump stations and potable water at gas stations and visitor centers. While it's not always legal, strictly speaking, it's common practice to sleep on pullouts on the highway. 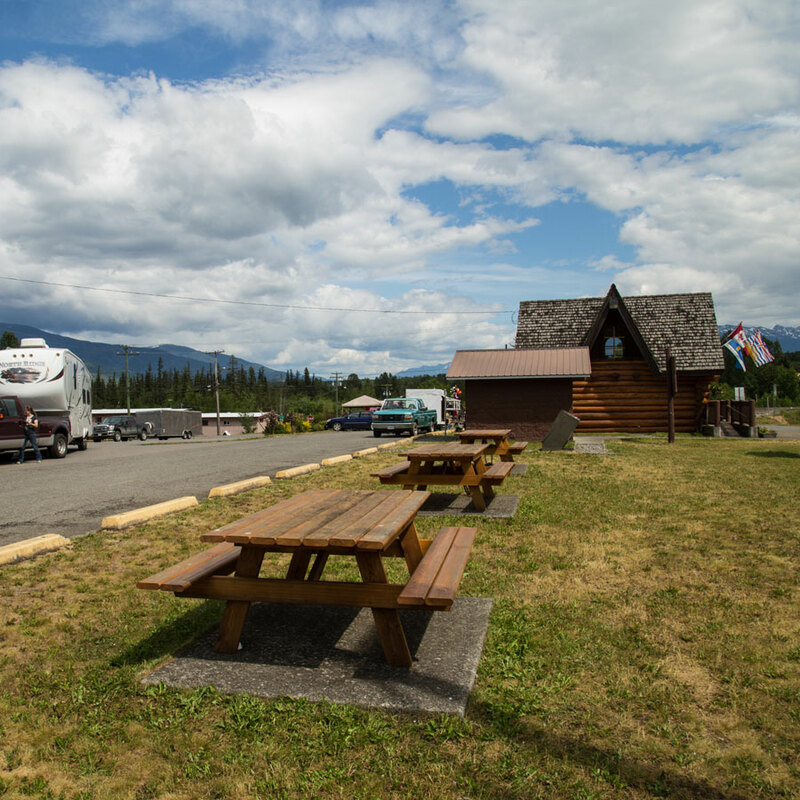 Do not stay in the rest areas (identifiable by chemical toilets, interpretive signage and/or trash bins). Instead, look for places that are purely just gravel or paved turnouts. If possible, find turnouts that are far back from the road and wide enough for other cars to get through if necessary. We hope these suggestions will make for a relaxing and fun journey through beautiful Canada. If you have any questions, let us know in the comments, or shoot us an email. Have you made this drive? What are your recommendations or observations?